Ice Cream Sundae or Gadbad Ice cream ! Wonderful layers of nuts,fruits and Ice creams and served with cherry and flavored sauce to make it exciting. One more Summer Cooler recipe, and since I am so much into desserts and sweet treats these days, I wanted to make this famous Sundae Ice Cream,also know as Gadbad Ice Cream(Indian version),is basically a very simple yet stunning dessert to put together. 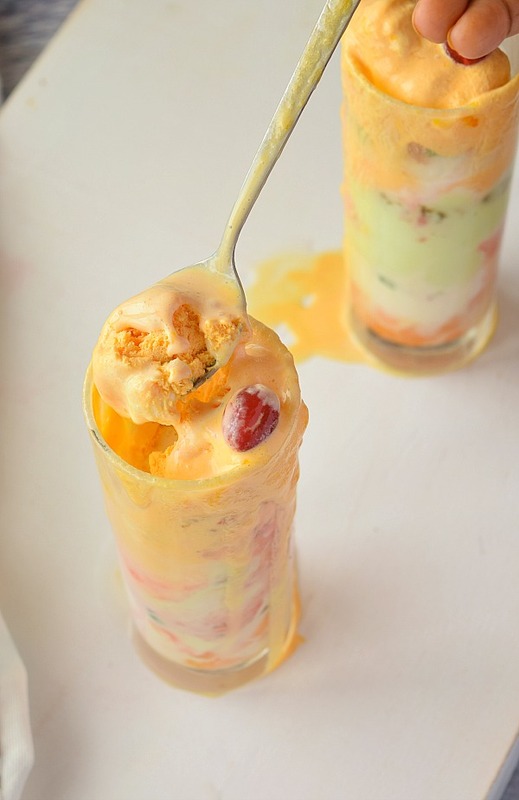 This dessert is superbly simple yet very easy have put layers of Mango Ice Cream,Pistachio Ice Cream,and Vanilla Ice Cream,along with some Tutti Frutti,Sliced Cashewnuts,chopped Mango and some Black seedless Raisins. I have some wonderful memories of this this ice cream. Every year, during Summer vacation ,we used to go for a family tour ,and I had this habit of having this Gadbad ice cream every time we used to take halts for food. I have been making a list of variety of ice cream and desserts to make and share.So will do that as and when I get time for sure. Here the Mango Ice Cream and Pistachio Ice Cream is homemade,vanilla is store bought one. 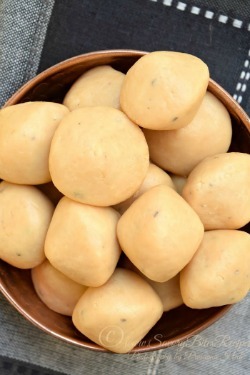 I have shared links of my ice creams in the recipe.Do check them. Summer specialty is here -Indian famous Gadbad Ice Cream or Sundae Ice Cream! Layers of variety of icecreams,nuts,sauce,fruits to enjoy! To arrange the ice cream,you will need tall glasses. Add 2 Tablespoon Mango chunks in each of the glasses. Add few Tutti Frutti in each of the glasses. Add a scoop of vanilla icecream in each glass. Add chopped nuts and few Tutti Frutti. Add postachio icecream scoop in each glass. Add little of strawberry sauce in each glass. 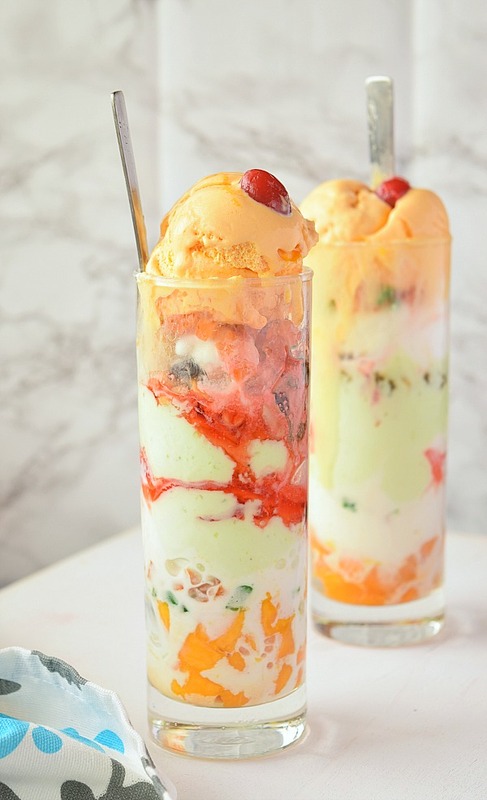 Add all the remaining nuts and Tutti Frutti, and finally add a scoop of mango ice cream in each glass and top with strawberry sauce and cherry. Wow, this is a fully packed ice cream goodness. I love all the delightful goodies within. 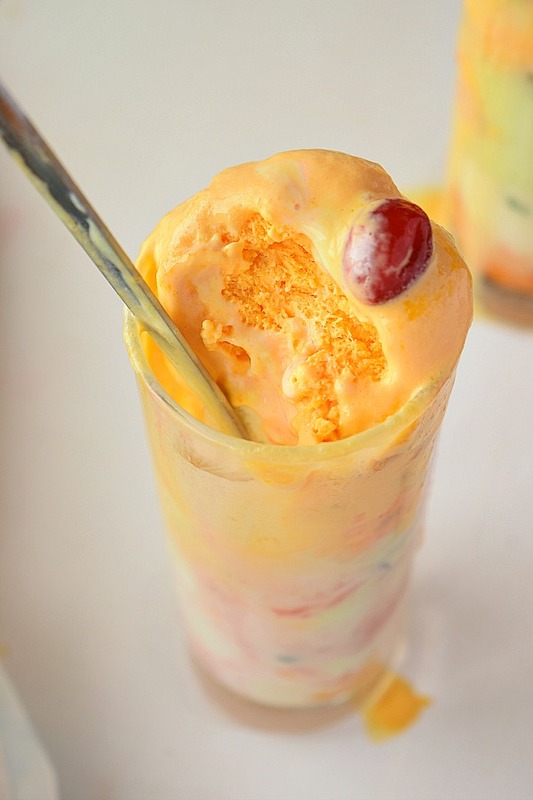 Mango ice cream is my favorite, paired with vanilla ice cream, nuts and strawberry syrup, this is a winner for me. 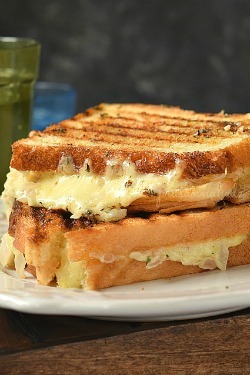 Oh my I'm so drooling all over this.!! This is a perfect Sunday sundae in our home. It reminds me so much of falooda minus the vermicelli. Such a treat. Yum! YUM!! This sundae looks like the perfect summer treat!! Pinning this to make next weekend... or earlier! I am literally drooling right now. I didn't have time for lunch -- I was working and wanted to get done. Well, it is so hot today and now I'm looking at that tall glass filled with ice cream. It certainly would be welcome right now. 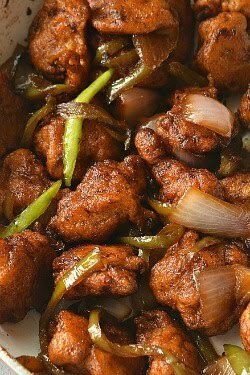 This is a recipe I've got to try!! 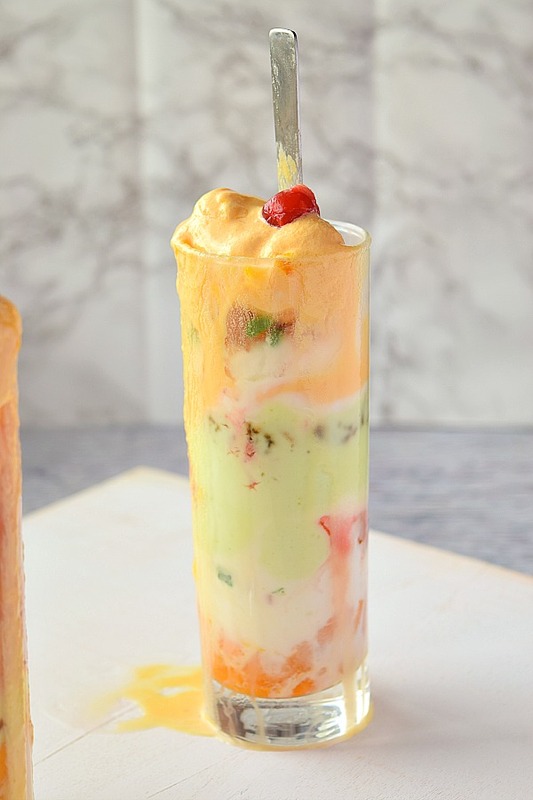 Wow does that look like such an amazing ice cold treat for summer with such uniquely layered flavors! Such pretty pics too! This is an incredibly impressive dessert! It looks like the perfect summer treat. Yum! This looks amazing! Perfect for the summer season! 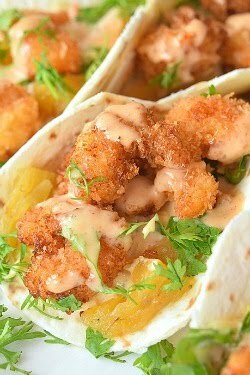 Refreshing and full of amazing flavors! Can't wait to try this! Oh wow, so many great flavors are in this ice cream sundae. perfect for summer, it looks so creamy and pretty! This looks like a rainbow of delicious flavors! I am absolutely going to recreate this for my family soon!